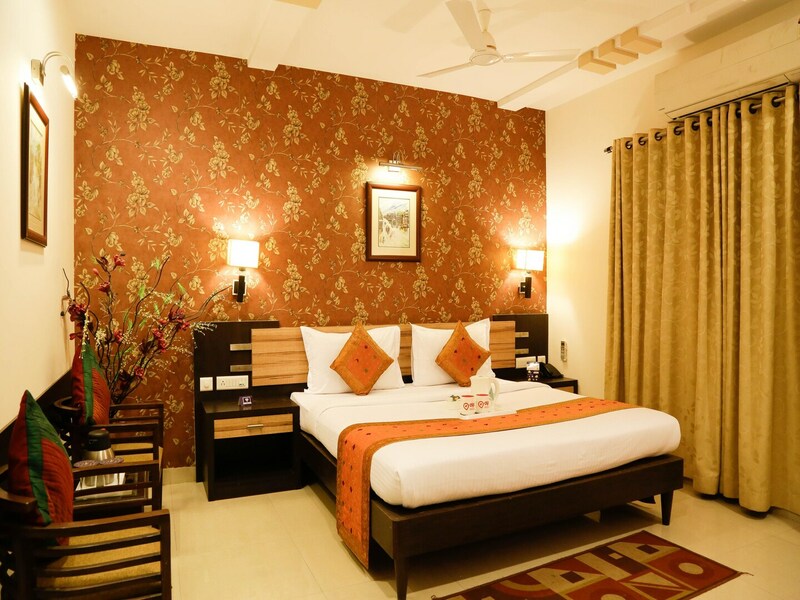 Hotel Siddharth Palace is a place with a mix of a historical palace and modernist decor. Designed with elements of the vintage outlook, this place is beautiful with fine wooden furnishing and decorated lightings. The wooden furnishing in the room is a cosy and regal experience to encounter. The spacious room has basic and modern furnishing with Parisian wallpaper and the amenities like mini-fridge and heater are available. Guests can avail free WiFi service, power backup, parking facility and an elevator. The delicious local cuisine is served in the dining area from the in-house restaurant. The conference room and banquet hall are open to guests for various events.